Background. My parents might have known that Margherita means pearl, or jewel, but not that I would be working with the gems of the mineral kingdom for healing. Both my parents created a loving and caring early family life. I am the oldest of five siblings, which called for certain responsibilities. I grew up in my native Sweden more than half a century ago, and showed and interest in science, which lead to studies and degrees in Chemistry and Math at the University of Stockholm. This resulted to a career in business, where I learned a great deal about the use of money. I am very grateful for this opportunity to discover that eventually my heart had other plans for me elsewhere. Thus I arrived in Canada in 1989, and felt from the start that I had come home. I had this childhood dream of visiting my ‘rich aunt’ in America. In hindsight, I have become this aunt for my nieces. Even if the material riches are somewhat sparse, I am rich in the sense of my heart gifts. I miss my family a lot specially my nieces, but what can you do when one have found one’s vocation. My love for crystals. I love crystals and working with people, especially in small groups, or in ‘one to one’ sessions. 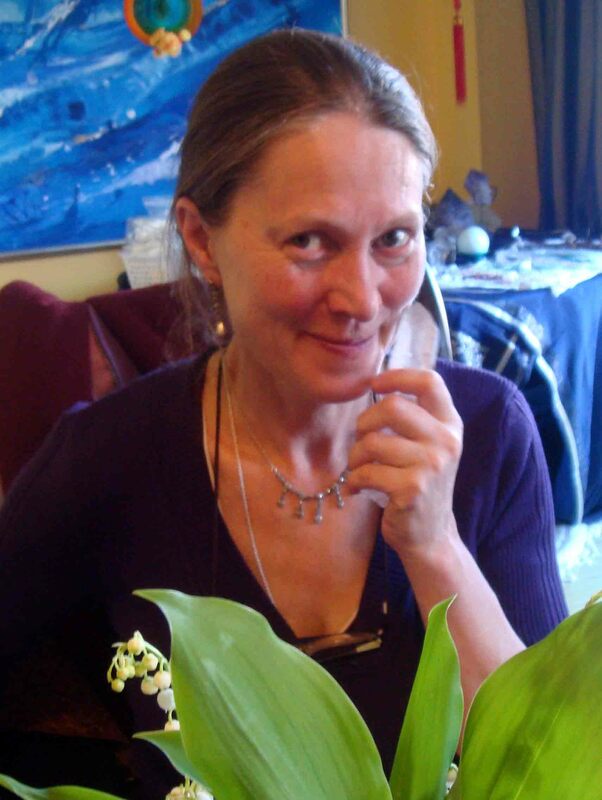 After 10 years here in Canada, my dear friend Helen begged me to teach a group of 12 students about crystals and healing, but I thought I wasn’t really the person to teach anyone so I said no. She persisted, and here I am a decade later with many wonderful and really dedicated students from my crystal courses dealing with healing, crystal tools and self-development retreats. Healing studies. I studied ‘Crystal Healing’ with my teacher Katrina Raphaell at the Crystal Academy in Hawaii. It was a great eye opener for me. I loved it. I haven’t turned back from it ever since. I knew that I had a strong past connection with crystals, and when I attended the courses in Hawaii, I realized this. 4 Responses to "About Margherita"
It’s very interesting, that you have a background ins science. I didn’t believe in the power of stones until some weeks ago, but my first experience was so strong, that I couldn’t deny it. I’ll come back to read more of your interesting blog! I just found you and would like to learn more about you. I a couple of crystals that I cherish and keep with me. The reason I am writing however, is that I am a writer/author and would like to put together a story on you, your crystals and what you do. If you would agree to this, I will have a list of questions for you that can easily be answered via email. I do it this way, as it is too difficult for me now to do interviews over the phone and I want to ensure accuracy. If you would agree to this, please contact me at marthajette@yahoo.com. The primary site I write for is http://www.examiner.com/x-35811-Hamilton-Paranormal-Examiner. we also host 24 hr retreats that cost $150. also to mark the shifts on the wheel of the year. so…long story short…I cant find your e-mail contact on this blog! Hi Margherita! I’ve been a busy bee!! Sold 6 books to Maureen at BB&C. I’ll deliver this Friday! I have a friend going to the show this weekend. Her name is Shakaya and her business is Earth Empress. She and I have recently collaborated to make a headpiece that she wishes to sell. If you have more labradorite beads, I’d like at least one more strand with the possibility of more. They are about 4mm and faceted. If you have any, can you please give them to her to bring back to Barrie? I’ll also need some tiny crystal points. Preferably already fixed to a pendant or wire wrapped. We are intending to come and see you at the gem show too at the end of the month. In summary: I’m in need of 1 strand of 4mm faceted labradorite beads and tiny crystal pendants. I love you lots and lots!! and pray you have a successful show!